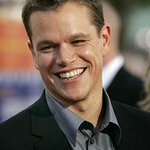 Actor Matt Damon took part in a grueling cycle race in South Africa during the weekend to raise money for charity. The Bourne Trilogy star took to his bike for the 110km Cape Argus Cycle Tour in Cape Town for Make A Difference, a charity that encourages, supports and recognizes 13 to 25 year olds who want to take action and volunteer their time for the benefit of others. Damon was joined by his younger brother Kyle for the race, as well as former South African rugby player Francois Pienaar, who Damon will portray in his latest movie, The Human Factor. This year’s race was one of the most challenging in the event’s 32-year history, due to gale-force winds of up to 140km/h (60 miles/h). Of the 35000 cyclists registered to race, 26000 started. Damon’s team finished just short of seven hours. The winner, Arran Brown, completed the race in 2 hours 46 minutes and 32 seconds. More information about the Make A Difference organization can be found here.